Construction: Good, though on smoking this cigar it literally fell apart and it was an extremely disappointing experience. Aging Room and the retailer from which I purchased the cigar has since noted that this is a rare occurrence, but neither offered to replace the cigar and cover postage. 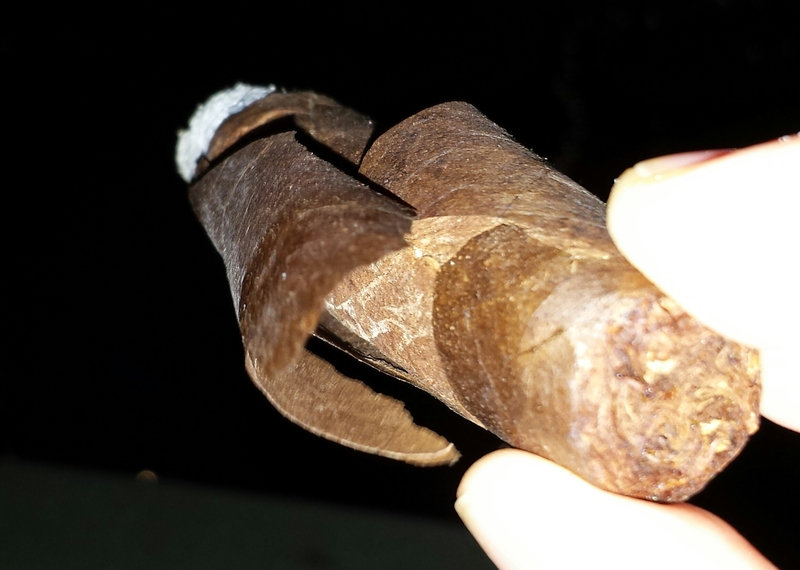 Consistency: Very poor, the cigar I smoked fell apart! Flavours: Despite falling apart, the Aging Room F55 Quattro was an extremely puff-able cigar offering roasted hazelnuts, earthy ground coffee and cocoa with mild woody notes of cedar, Brazil nuts and the curious aftertaste of shiitake mushrooms lingered for me with a drying burning hay-like ember at back palate and the tone of that dark leaf. Overall, this was an enjoyable well-rounded cigar with superstar qualities. Pity it began to shed its skin! Matched with: The cigar, before it fell apart, was delicious with a rich single malt, whether peated or not. It compliments an old Speysider nicely (Glenlivet 21 year old, Glenfarclas 21 or 25 year old) though it matches nicely with a mildly peated older malt (Bunnhabhain 25 year old). 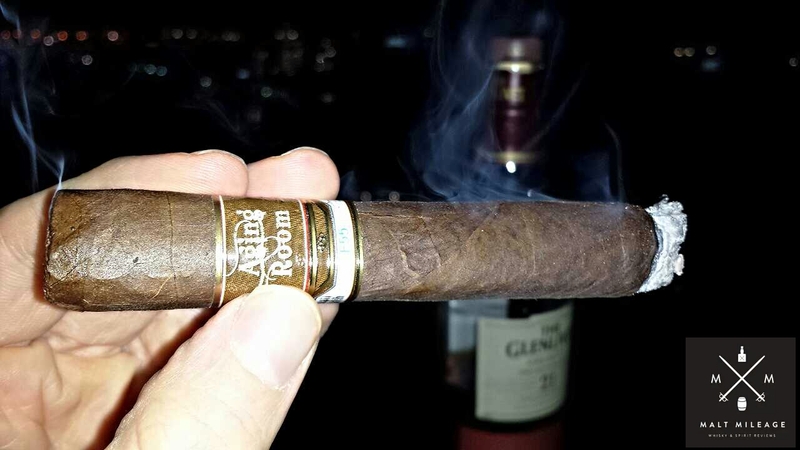 On the lower end of the price spectrum, I would puff it with a Jameson or Glenmorangie Original – two smooth but interesting malts that will not dominate over this cigar. Buy again? : I am not sure if I would buy this cigar again! It had a great draw, burn and flavour, but it did fall apart while smoking it. This meant that I did not enjoy smoking it because each time I touched the cigar it slowly fell apart. The producer, on being contacted, only said it is “rare” for this to happen and did not seem interested in replacing the cigar with no additional cost. Given this negative experience, I would not want to risk buying this cigar again when they are so expensive (at least here in Australia)!